Animals can fall ill and deteriorate in a short amount of time. Routine health screens aims to help identify any ailments or underlying diseases early so that they can be treated before it becomes severe. Our vets have over 40 years experience between them and are passionate about helping you with your animal’s health and well-being. Health checks involve a head to toe to tail examination of your pet, plenty of pats and often a sneaky treat or two to ensure our patients have the most positive experience possible. Pets over 7 years of age are generally considered to be in their senior years. For senior pets we strongly recommend half yearly check ups and annual blood test to get a overview of their internal organ functions as this is typically the age, age-related diseases begin to arise. 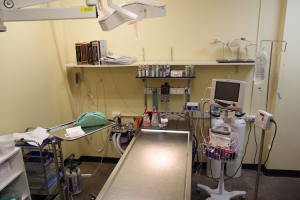 We have a fully equipped operating theatre to carry out routine surgeries such as desexing, as well as other soft tissue and dental surgeries for your pet. Surgeries are carried out on weekdays. 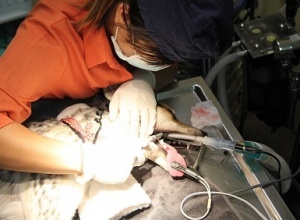 Each surgery is monitored by a dedicated surgery nurse to ensure a smooth and safe anaesthesia for your pet. Desexing has many benefits for your pet. It is a surgical procedure that involves the removal of your pet’s reproductive organs (uterus and fallopian tubes in females and testes in males) to prevent them from reproducing. We recommend that most cats and dogs be desexed by 6 months of age unless there is medical reason to not do so. 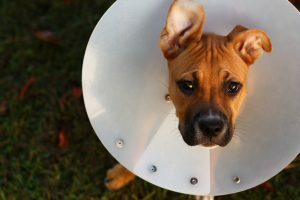 If you are unsure about whether or not you should desex your pet or want to know more about the procedure, feel free to contact us for more information. 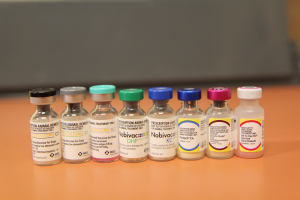 Desexing pets not only prevents unwanted litters but can also help with behavioural issues and diseases such as pyometras or tumors in the reproductive organs later in life. Diagnosing a pet through basic examination is not always easy. Oftentimes an animal’s blood can provide us insight into their health before symptoms begin to show, enabling us to be more proactive with treatment. 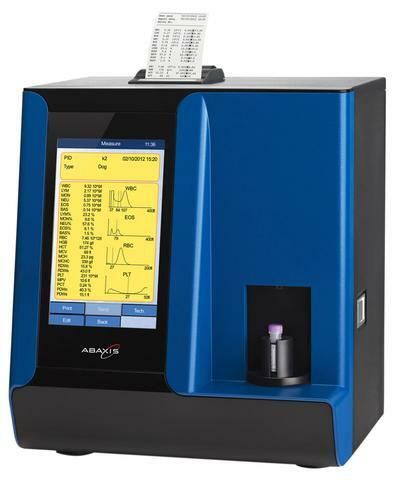 Our clinic is fully equipped with laboratory equipment that allows us to run basic in-house bloods so that we can deliver your pets blood results to you on the same day for your peace of mind. If a more extensive test is required, we engage with major external laboratories who use their private couriers to promptly deliver sample to their facility for testing. X rays are useful diagnostic tool for getting a picture of your pet’s internal condition. 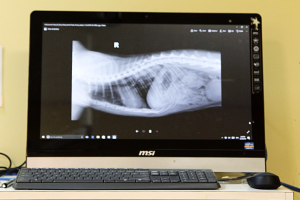 Our clinic is equipped with a digital xray system which allows us to manipulate and process your pets X-rays more efficiently than manual dark room methods. Radiographs are particularly useful for conditions involving bones, the chest or the abdomen. 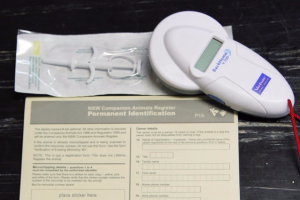 Under the 1998 Companion Animal Act, ‘all cats and dogs, must (unless exempted) be micro-chipped by 12 weeks of age or before being sold or given away, whichever happens first’. We receive many calls each year from distraught owners wanting to be reunited with their lost pet but admitting that their pet is not microchipped or have out of date chip details. It is important to ensure that your pet is micro-chipped so that they have a better chance of being re-united with you when someone finds them. Please contact us if your pet needs to be micro-chipped. The Companion Animal Registry now allows owners to manage their own pet’s contact details without have to submit a paper form to the council. Click ‘Learn More’ for more information or to register your pet. 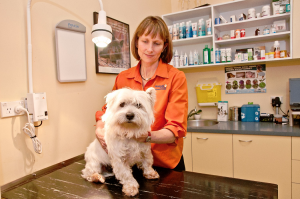 Our clinic as built a close and trusting relationship with the Animal Referral Hospital (ARH) for over a decade. The ARH is a fully equipped, 24 hour specialist hospital located less than a 5 minute drive from our clinic. 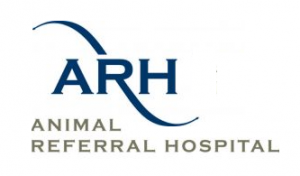 We will refer patients who require specialist attention or complex cases to the ARH for treatment and will communicate with the specialist veterinarians to keep updated with their progress and ensure quality ongoing treatment. Diet plays a key role in your pets development and well-being. 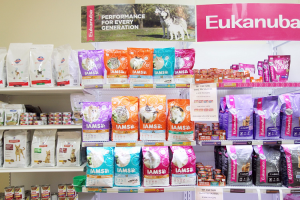 The nutritional requirements of your pet will change as their progress through each life stage. For instance, younger animals will generally require food with a higher fat and protein content to support their growth, while older animals will generally require food that is lower in calories and higher levels of fiber. Feeding food that is incompatible with the nutritional needs of your pet can hinder their health and development. If you are unsure of what to feed your pet, our vets and nurses will be happy to help you with selecting a diet that is suitable.